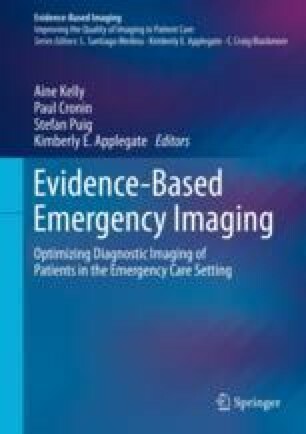 This chapter will discuss the evidence-based use of imaging in the emergency setting to diagnose non-traumatic hip pain in infants and children. Radiographs of the hips in neutral and frog leg lateral positions are the standard diagnostic imaging studies in the initial investigation of a child with hip pain. Ultrasound is the standard imaging modality to diagnose a hip effusion in the initial investigation of a child with hip pain. The use of magnetic resonance imaging may be an alternative option in case of inconclusive findings after radiography and ultrasound.